Replacement Bedroom & Wardrobe Doors allow you to completely change the look of your bedroom for a small cost; saving you the time, effort and expenditure of redecorating the entire room. Replacing Your Bedroom Wardrobe Doors? If your bedroom hasn't been redecorated or redesigned for many years, it may be starting to look a bit tired and dated. You may be thinking of replacing your entire fitted bedroom, but doing a complete refit can be a costly exercise. Instead, why not consider simply opting for replacement bedroom doors? 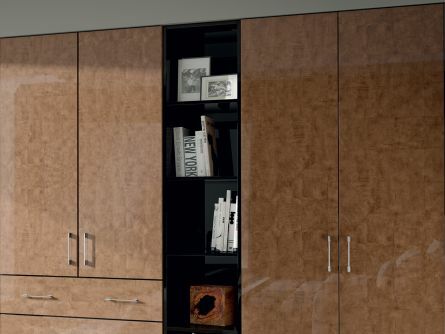 Believe it or not, wardrobe, cabinet, drawer, and unit doors are one of the most important parts of the bedroom. Wardrobe doors especially tend to be quite large, so they automatically draw focus the moment you walk into the room. By replacing wardrobe doors, you could be breathing a whole new lease of life into a tired bedroom, without the cost of refitting the whole room! 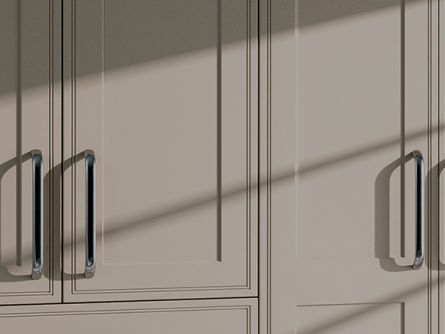 Vinyl Bedroom & Wardrobe Doors - Vinyl is one of the most popular materials for made to measure bedroom doors because it is so versatile that it can be cut, folded, and wrapped to coat any shape or design of door. It clings to the wood underneath, so it's especially good for doors with tracing and intricate detailing. 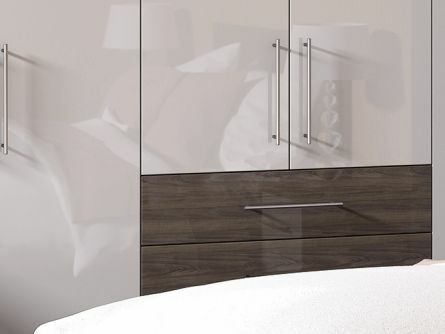 Acrylic Bedroom & Wardrobe Doors - Acrylic wraps are quite like vinyl, but they're even more versatile. Acrylic is often a little more costly, but that's because it can be used to create high gloss effects that are almost mirror-like. 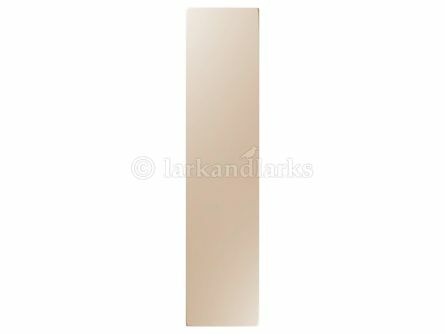 Acrylic doors and panels are coated on one side and then edged in a matching or contrast edge. PVC Edged Bedroom & Wardrobe Doors - PVC edged Melamine Faced Chipboard (MFC) bedroom doors are ideal for those that want an amazing look without the price tag. As a budget option, PVC edged doors won't give quite the effect that vinyl and acrylic do, but the difference are negligible. In fact, you'd have to be right up against the door to notice that it's PVC. Finish choices are more limited than with acrylic, but for such a budget price, you really can’t go wrong.